Join our last webinar of the summer on Wed, Aug 24, at 1pm ET. Newcomers will learn about the longest-running and most popular college essay web tool on the market and veterans will watch a live demo of all the newest upgrades. 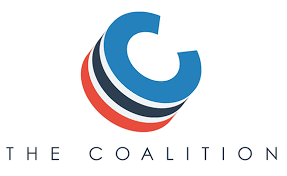 Oh, you'll also learn all about how we're handling the different application types this year, especially with the Coalition App now in the mix. So Many Application Types -- What To Do? With the different college application types out there now, it sometimes seems like we're going back to the days when each college had its own application. Such is capitalism -- everyone is trying to compete, presumably (hopefully) to benefit the students and their families (though it doesn't always seem that way). Specifically, we have received inquiries surrounding the new Coalition for Access, Affordability, and Success application, and we wanted to let you know that we're on top of all the changes for you. Below is an explanation of how College Essay Organizer will be handling all the different application types, based on feedback from members and an analysis of student usage. Essentially, due to its popularity, the Common App essay questions will continue to be displayed as a college's default questions. However, when a college accepts its own School App as well as the Coalition app (but not the Common App), we will be displaying the Coalition's questions. Below is a list of the schools that currently accept its own School App as well as the Coalition App (and do not accept the Common App). This list is subject to change as schools continue to re-evaluate their use of the Coalition for the current season. If a college above takes the Coalition and its own School App but has not yet released its application through the Coalition (e.g., University of Minnesota-Twin Cities), we will list the School App's essay questions and will notify you when that school's Coalition essay questions are officially live. We are doing this because some colleges that claimed they would be using the Coalition this year have just switched gears and are sticking with their own School App (e.g., Florida State University). So things are in flux in the college app world, but we're on top of all of it for you. We know this might seem a bit confusing at first, but hey, we didn't bring the rain -- we're just handing you the umbrella. Ultimately, just work under the assumption that we prioritize applications in this order: Common App, then Coalition App, then School App. Simple. Posted in News | Comments Off on So Many Application Types -- What To Do?